He plans to become a member of the European Parliament. 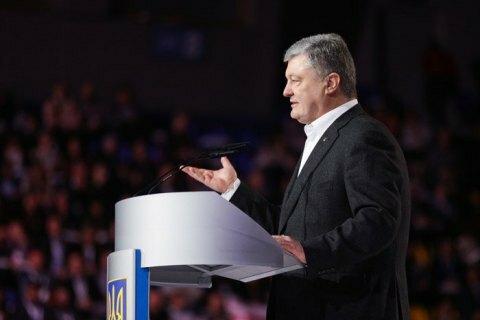 President Petro Poroshenko has answered the question whether he has a Plan B in case he gets defeated in the presidential election. "Yes, I have a plan. The only thing is that it is not Plan B. Unlike Plan Yu or Plan Z, I have Plan P. Plan P is to build a great country of free, wealthy and happy people. This plan is to bring the country to a full membership of the EU and NATO," he said in an interview with Ukrainian TV channels. "Am I planning to take part in a parliamentary [election] campaign? I can admit that yes, I will take part [in it] as a candidate during an election to the European Parliament after accession to the EU," he said. Earlier, he promised to file an application for Ukraine's accession to the EU if gets re-elected for the second term.